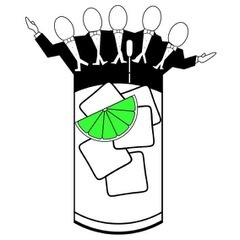 The Harvard Din & Tonics is Harvard University's signature jazz a cappella group, known for their rich tradition of musical and performance excellence. Their repertoire centers around American jazz standards, but also frequently includes pop, disco, and folk music. These world-touring Harvard students-who perform in white tie and tails, garnished with lime green socks-have an enviable reputation for their impeccable musicality, snappy choreography, and hilarious antics. PLEASE NOTE THAT YOU MUST HAVE A CONFIRMED RESERVATION BEFORE YOU CAN PURCHASE TICKETS. ALSO, PLEASE BE AWARE THAT TICKETS ARE NON-REFUNDABLE.